Categories: books, cover art, news | Tags: a.o. peart, Almost Matched, angela peart, book boyfriend, coming of age, na, new adult, romance, tara west | Permalink. But, when Dale is rejected from Colombia University in NYC, due to a police report that follows him wherever he goes, Nicole soon discovers that love can drive her to do things she never thought possible. There’s more than one way to say, I love you and Nicole Tepper is about to prove to Dale that she loves him beyond all common sense. “I used to be a full time teacher (11-13 year olds) then I became a full time mother. During that time I also found my passion for writing. Over the last ten years I have been studying the craft and putting myself out there. My first trilogy came out in November, 2011. It has been a wild ride swimming in this indie river and I have loved so much of it. I have learned so many amazing things and met so many great people. It has totally solidified the fact I want to be a writer for as long as I possibly can! 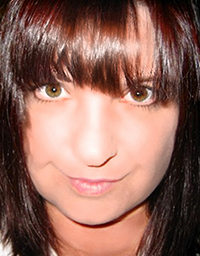 I now have five books published and am working on a new YA Fantasy trilogy for 2013. I am having so much fun with it and can’t wait to share it with everybody. 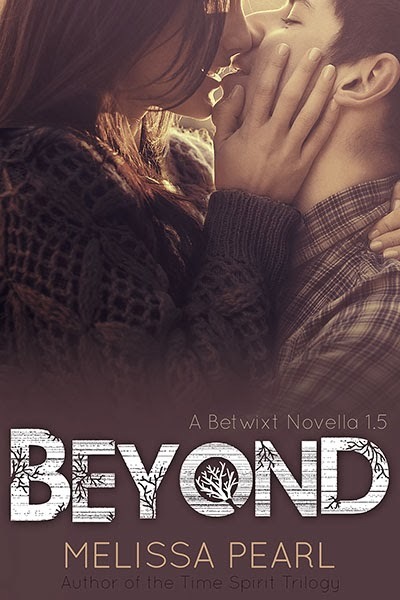 Categories: books, cover art, news | Tags: Cheap Kindle Book, cover reveal, melissa pearl, paranormal, tara west, teen, ya, young adult romance | Permalink. Cover reveals by JA Huss! Hey, everyone. 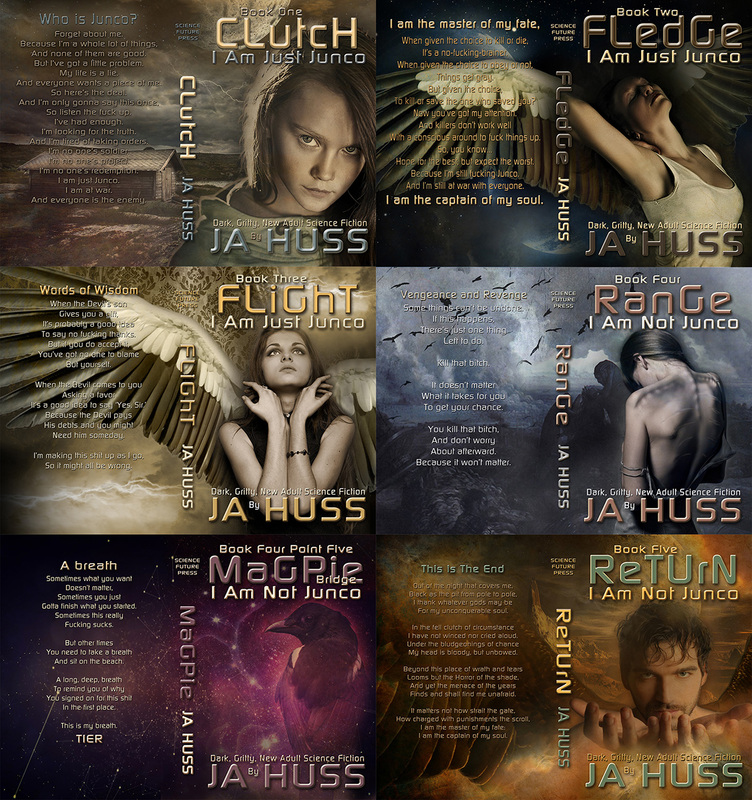 JA Huss has new covers for the I am Just Junco series. Aren’t they amazing? These are intense, dark stories, and I guarantee that once you start reading, you won’t be able to put these books down! She’s also hosting a giveaway for a $15 Amazon gift card, and since I am terrible about getting Rafflecopter links to work on my site, click HERE to enter. J. A. Huss likes to write new adult books that make you think and keep you guessing. Her favorite genre to read is space opera, but since practically no one reads those books, she writes new adult science fiction, paranormal romance, contemporary romance, urban fantasy, and books about Junco (who refuses to be saddled with a label).She has an undergraduate degree in horses, (yes, really–Thank you, Colorado State University) and a master’s degree in forensic toxicology from the University of Florida. She used to have a job driving around Colorado doing pretty much nothing but shooting the breeze with farmers, but now she just writes, runs the New Adult Addiction and Clean Teen Reads Book Blogs, and runs an online science classroom for homeschoolers. 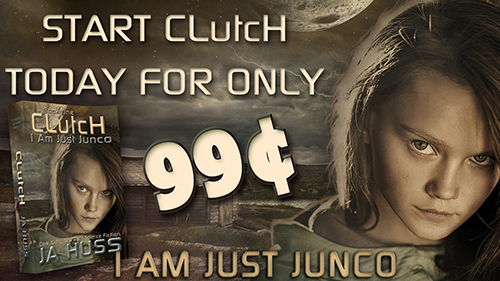 Categories: books, cover art, news | Tags: Amazon, author, cheap, Clutch, dystopian, fantasy, I am Just Junco, ja huss, kindle, read, tara west | Permalink. Look at these covers by my friend, T.G. Ayer. Aren’t they pretty?! Cover designs by Eduardo Priego. 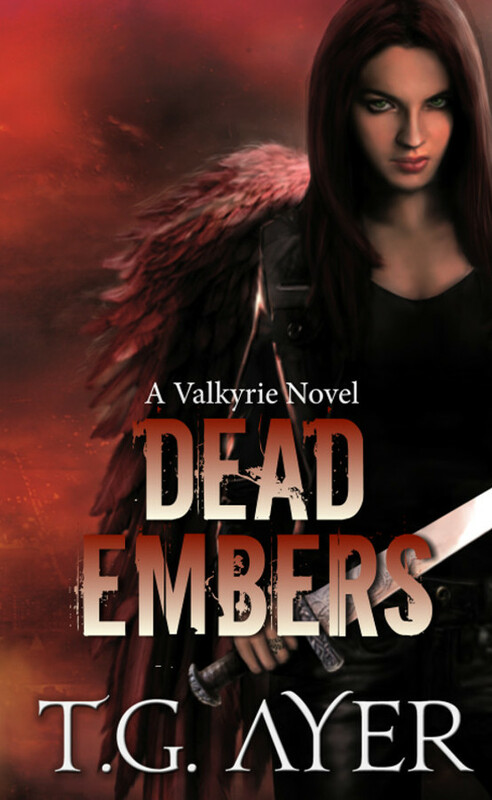 Valkyrie Bryn Halbrook is broken and damaged…Struggling to accept the loss of her wings, Bryn’s not sure if she can be a real Valkyrie anymore. But when a mysterious prophecy claims she will be the reason the All-Father dies, she is determined to ensure the prediction will not come to pass.A visit to the three fates who live beneath the great Tree of life, sends Bryn racing against time to find the missing Heimdall and his horn. As Odin’s life hangs in the balance and Ragnarok draws ever closer, Bryn has to find a way to save Heimdall and Odin before she can discover the truth about who she really is. 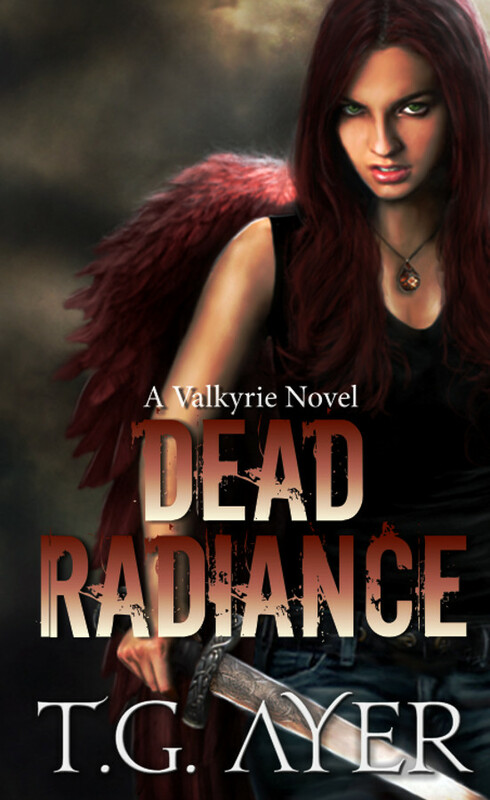 Categories: books, cover art, news | Tags: amazon author, cover reveal, Dead Chaos, Dead Embers, Dead Radiance, kindle, paranormal, t.g. 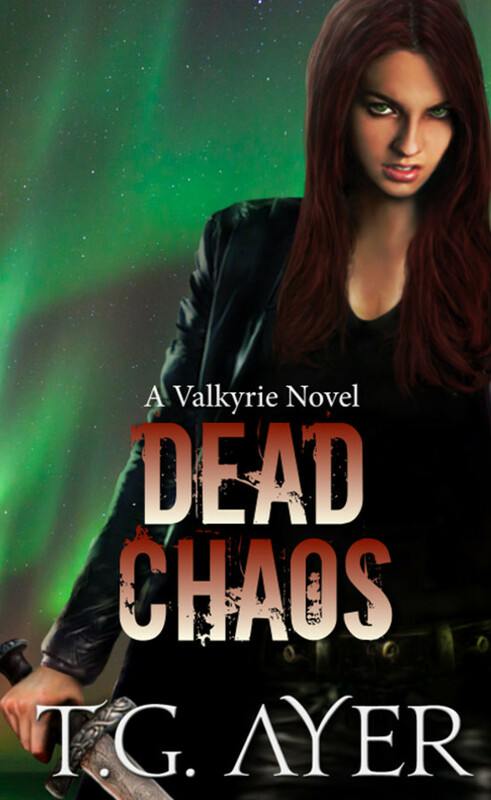 ayer, tara west, urban fantasy, Valkyrie, Xpresso Blog Tours, ya | Permalink. Surprise! Say Yes is out a day early! Are you ready for Say Yes? Good, because it’s ready for you! Andrés and Christina’s love story continues right now. All you have to do is go download it on Kindle. Nook, iTunes and Kobo books coming tomorrow. 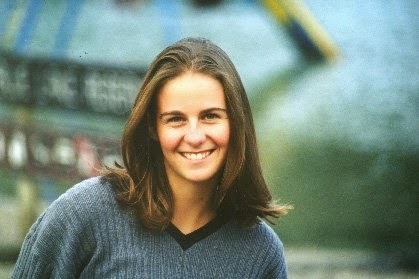 Categories: books, news | Tags: book release, coming of age, military, new adult, romance, say yes, tara west | Permalink. Say When blog tour and Amazon gift card giveaway! Want a chance to win a $50 Amazon gift card? The more stops you visit, the better your chances of winning. Click HERE to see all of the tour stops hosted by Xpresso Book Tours. Visit the tour stops. Enter the rafflecopter. It’s that easy! Also, a big thank you, bloggers, for the wonderful reviews of Say When. It will be on sale this week for just .99 in anticipation of the release of Say Yes (THIS THURSDAY! ), book two in the Something More Series. Download your copy of Say When on Kindle, Kindle UK, Nook, iTunes and Kobo. Categories: books, news | Tags: amazon gift card, bargain book, book review, cheap ebook, giveaway, kindle, Sale, say when, say yes, tara west, Xpresso Blog Tours, Xpresso reads | Permalink.